Recently Steven Pinker, public intellectual and author of a “history” of the Blank Slate debacle that was largely a fairy tale but at least drew attention to the fact that it happened, has been dabbling in something entirely different. Inspired by the latest UN Jeremiad against climate change, he has embraced nuclear power. In a series of tweets, he has endorsed articles advocating expanded reliance on nuclear power, such as one that recently turned up at Huffpo cleverly entitled “If We’re Going To Save the Planet, We’ve Got To Use the Nuclear Option.” As things now stand, that would be a dangerous, wasteful, and generally ill-advised idea. I say “as things now stand.” I’m certainly not opposed to nuclear power. I’m just opposed to the way it would be implemented if we suddenly decided to build a bevy of new nukes given current economic realities. The new reactors would probably look like the AP1000 models recently abandoned in South Carolina. Such reactors would use only a fraction of the available energy in their nuclear fuel, and would produce far larger amounts of long-lived radioactive waste than necessary. They are, however, cheaper than alternatives that could avoid both problems using proven technologies. Given the small number of players capable of coming up with the capital necessary to build even these inferior reactors, there is little chance that more rational alternatives will be chosen until alternative sources of energy become a great deal more expensive, or government steps in to subsidize them. Until that happens, we are better off doing without new nuclear reactors. As noted above, the reasons for this have to do with the efficient utilization of nuclear fuel, and the generation of radioactive waste. In nature there is only one potential nuclear fuel – Uranium 235, or U235. U235 is “fissile,” meaning it may fission if it encounters a neutron no matter how slow that neutron happens to be traveling. As a result, it can sustain a nuclear chain reaction, which is the source of nuclear energy. Unfortunately, natural uranium consists of only 0.7 percent U235. The rest is a heavier isotope – U238. U238 is “fissionable.” In other words, it will fission, but only if it is struck by a very energetic neutron. It cannot sustain a fission chain reaction by itself. However, if U238 absorbs a neutron, it becomes the isotope U239, which quickly decays to neptunium 239, which, in turn, quickly decays to plutonium 239. Plutonium 239 is fissile. It follows that if all the U238 in natural uranium could be converted to Pu239 in this way, it could release vastly more energy than the tiny amount of U235 alone. This is not possible in conventional reactors such as the AP1000 mentioned above. A certain amount of plutonium is produced and burned in the fuel elements of such reactors, but the amount is very small compared to the amount of available U238. In addition, other transuranic elements, such as americium and curium, which are produced in such reactors, along with various isotopes of plutonium, would remain dangerously radioactive for thousands of years. These problems could be avoided by building fast breeder reactors. In conventional reactors, neutrons are “thermalized” to low energies, where the probability that they will react with a fuel nucleus are greatly increased. The neutron spectrum in “fast” reactors is significantly hotter but, as a result, more neutrons are produced, on average, in each encounter. More neutrons means that more Pu239 can be produced without quenching the fission chain reaction. It also means that the dangerous transuranic elements referred to above, as well as long lived fission products that are the source of the most long-lived and dangerous radioactive isotopes in nuclear waste, could be destroyed via fission or transmutation. As a result, the residual radioactivity resulting from running such a nuclear reactor for, say 30 years, would drop below that released into the environment by a coal plant of comparable size in 300 to 500 years, as opposed to the thousands of years it would take for conventional reactors. And, yes, radioactivity is released by coal plants, because coal contains several parts per million each of radioactive uranium and thorium. Meanwhile, a far higher percentage of the U238 in natural uranium would be converted to Pu239, resulting in a far more efficient utilization of the fuel material. An even better alternative might be molten salt reactors. In such reactors, the critical mass would be in liquid form, and would include thorium 232 (Th232) in addition to a fissile isotope. When Th232 absorbs a neutron, it decays into U233, another fissile material. Such reactors could run at a lower neutron “temperature” than plutonium breeders, and would be easier to control as a result. The liquid core would also greatly reduce the danger of a nuclear accident. If it became too hot, it could simply be decanted into a holding pan where it would immediately become subcritical. Thorium is more abundant than uranium in nature, so the “fuel” material would be cheaper. Consider the above in the context of the present. Instead of extracting the vast amounts of energy locked up in U238, or “depleted” uranium, we use it for tank armor and armor piercing munitions. In addition to this incredibly stupid waste of potentially vast energy resources, we dispose of huge amounts of it as “radioactive waste.” Instead of treasuring our huge stores of plutonium as sources of carbon-free energy, we busy ourselves thinking up clever ways to render them “safe” for burial in waste dumps. It won’t work. Plutonium can never be made “safe” in this way. Pu239 has a half-live of about 25,000 years. It will always be possible to extract it chemically from whatever material we choose to mix it with. Even if it is “reactor grade,” including other isotopes of plutonium such as Pu240, it will still be extremely dangerous – difficult to make into a bomb, to be sure, but easy to assemble into a critical mass that could potentially result in radioactive contamination of large areas. Carefully monitored breeder reactors are the only way of avoiding these problems. Doesn’t nuclear power contribute to nuclear weapons proliferation? No. Weapons programs do not depend on civilian nuclear power, which operates under stringent international safeguards. Really? Will the “stringent international safeguards” last for the 25,000 years it takes for even half the plutonium waste produced by conventional reactors to decay? I would advise anyone who thinks it is impossible to fabricate this waste into a bomb, no matter what combination of isotopes it contains, to take an elementary course in nuclear engineering. The only way to avoid this problem is to burn all the plutonium in breeder reactors. Predictably, the article doesn’t even mention the incredible wastefulness of current reactors, or the existence of breeder technology. It’s nice that a few leftist “progressives” have finally noticed that their narrative on nuclear power has been controlled by imbeciles for the last half a century. I heartily concur that nuclear energy is a potent tool for reducing carbon and other greenhouse gas emissions. I simply suggest that, if we decide to return to nuclear, we either provide the subsidies necessary to implement rational nuclear technologies now, or wait until it becomes economically feasible to implement them. As readers who were around at the time may recall, the Kyoto Protocol conformed perfectly to German standards of “fairness.” It would have required states like The United States and Canada to meet exactly the same percentage reduction in emissions from the base year 1990 as the countries in the European Union, in spite of the fact that their economies had expanded at a faster rate than most of Europe’s during the period, they did not enjoy the same access to cheap, clean-burning natural gas as the Europeans in those pre-fracking days, and, “fairest” of all, they weren’t the beneficiaries of massive emission reductions from the closing of obsolete east European factories following the demise of Communism. In other words, it was “fair” for the US and Canada to shed tens of thousands of manufacturing jobs in order to meet grossly disproportionate emissions standards while Germany and the rest of the Europeans cheered from the sidelines. What is one to think of this latest instance of ostentatious German piety? I don’t know whether to laugh or cry. For one thing, the apparent concern about climate change in Germany is about 99% moralistic posing and 1% real. Solzhenitsyn used a word in The First Circle that describes the phenomenon very well; sharashka. Basically, it’s a lie so big that even those telling it eventually begin to believe it. The German decision to shut down their nuclear power plants demonstrated quite clearly that they’re not serious about fighting global warming. Base load sources of energy are needed for when renewables are unavailable because the wind isn’t blowing or the sun isn’t shining. Practical alternatives for filling in the gaps include nuclear and fossil fuel. Germany has rejected the former and chosen one of the dirtiest forms of the latter; coal-fired plants using her own sources of lignite. She plans to build no less than 26 of them in the coming years! It’s stunning, really. 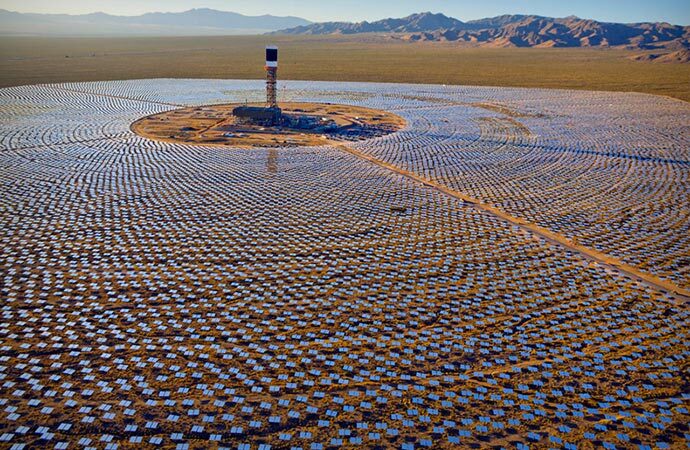 These plants will pump millions of tons of CO2 and other greenhouse gases into the atmosphere that wouldn’t have been there if Germany had kept her nuclear plants on line. Not only that, they represent a far greater radioactive danger than nuclear plants, because coal contains several parts per million of radioactive thorium and uranium. The extent of German chutzpah is further demonstrated by a glance at recent emission numbers. Germany is now the worst polluter in the EU. Her CO2 emissions have risen substantially lately, due mainly to those new lignite plants beginning to come on line. Coal-generated energy in Germany is now around 50% of the mix, the highest it’s been since 1990. Even as the German government shook its collective head at the sinful Australians, telling them to mend their evil ways or bear the guilt for wars and revolution, not to mention the bleaching of the coral in the Great Barrier Reef, her own CO2 emission rose 1.5% in 2013 over the previous year, while Australia’s fell by 0.8% in the same period! In a word, dear reader, for the German “Greens,” the pose is everything, and the reality nothing. The deadline to develop a new design of nuclear power plant has been brought forward by 15 years as the central government tries to reduce the nation’s reliance on smog-producing coal-fired power stations. A team of scientists in Shanghai had originally been given 25 years to try to develop the world’s first nuclear plant using the radioactive element thorium as fuel rather than uranium, but they have now been told they have 10, the researchers said. I have to admit, I feel a little envious when I read things like that. The Chinese government is showing exactly the kind of leadership that’s necessary to guide the development of nuclear power along rational channels, and it’s a style of leadership of which our own government no longer seems capable. What do I mean by “rational channels?” Among other things, I mean acting as a responsible steward of our nuclear resources, instead of blindly wasting them , as we are doing now. How are we wasting them? By simply throwing away the lion’s share of the energy content of every pound of uranium we mine. Contrary to the Morning Post article, thorium is not a nuclear fuel. The only naturally occurring nuclear fuel is uranium 235 (U235). It is the only naturally occurring isotope that can be used directly to fuel a nuclear reactor. It makes up only a tiny share – about 0.7% – of mined uranium. The other 99.3% is mostly uranium 238 (U238). What’s the difference? When a neutron happens along and hits the nucleus of an atom of U235, it usually fissions. When a neutron happens along and hits the nucleus of an atom of U238, unless its going very fast, it commonly just gets absorbed. There’s more to the story than that, though. When it gets absorbed, the result is an atom of U239, which eventually decays to an isotope of plutonium – plutonium 239 (Pu239). Like U235, Pu239 actually is a nuclear fuel. When a neutron hits its nucleus, it too will usually fission. The term “fissile” is used to describe such isotopes. In other words, while only 0.7% of naturally occurring uranium can be used directly to produce energy, the rest could potentially be transmuted into Pu239 and burned as well. All that’s necessary for this to happen is to supply enough extra neutrons to convert the U238. As it happens, that’s quite possible, using so-called breeder reactors. And that’s where thorium comes in. 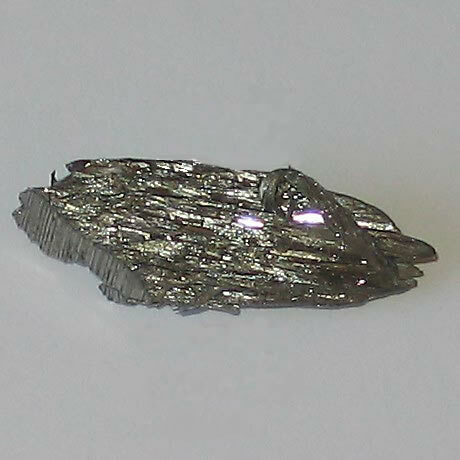 Like U238, the naturally occurring isotope thorium 232 (Th232) absorbs neutrons, yielding the isotope Th233, which eventually decays to U233, which is also fissile. In other words, useful fuel can be “bred” from Th232 just as it can from U238. Thorium is about three times as abundant as uranium, and China happens to have large reserves of the element. According to current estimates, reserves in the U.S. are much larger, and India’s are the biggest on earth. What actually happens in almost all of our currently operational nuclear reactors is a bit different. They just burn up that 0.7% of U235 in naturally occurring uranium, and a fraction of the Pu239 that gets bred in the process, and then throw what’s left away. “What’s left” includes large amounts of U238 and various isotopes of plutonium as well as a brew of highly radioactive reaction products left over from the split atoms of uranium and plutonium. Perhaps worst of all, “what’s left” also includes transuranic actinides such as americium and curium as well as plutonium. These can remain highly radioactive and dangerous for thousands of years, and account for much of the long-term radioactive hazard of spent nuclear fuel. As it happens, these actinides, as well as some of the more dangerous and long lived fission products, could potentially be destroyed during the normal operation of just the sort of molten salt reactors the crash Chinese program seeks to develop. As a result, the residual radioactivity from operating such a plant for, say, 40 years, could potentially be less than that of the original uranium ore after a few hundreds of years instead of many thousands. 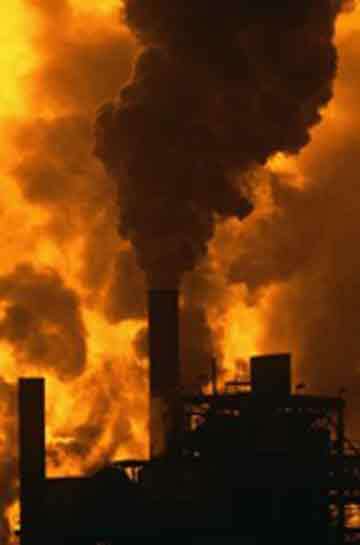 The radioactive hazard of such plants would actually be much less than that of burning coal, because coal contains small amounts of both uranium and thorium. Coal plants spew tons of these radioactive elements, potentially deadly if inhaled, into the atmosphere every year. Why on earth are we blindly wasting our potential nuclear energy resources in such a dangerous fashion? Because it’s profitable. For the time being, at least, uranium is still cheap. Breeder reactors would be more expensive to build than current generation light water reactors (LWRs). To even start one, you’d have to spend about a decade, give or take, negotiating the highly costly and byzantine Nuclear Regulatory Commission licensing process. You could count on years of even more costly litigation after that. No reprocessing is necessary in LWRs. Just quick and dirty storage of the highly radioactive leftovers, leaving them to future generations to deal with. You can’t blame the power companies. They’re in the business to make a profit, and can’t continue to operate otherwise. In other words, to develop nuclear power rationally, you need something else in the mix – government leadership. We lack that leadership. Apparently the Chinese don’t. The bottom line is this: it is the same thing with climate change. In a sense, climate change can now be considered another weapon of mass destruction, perhaps even the worlds most fearsome weapon of mass destruction. The Democratic effort is cause for some confusion because these senators are calling for action in a chamber they control but without any specific legislation to offer up for a vote, or any timetable for action this year. In other words, this is nothing but a stunt — and transparently so. Senate Democrats control all of the Senate committees, and what comes to the Senate floor. Boxer herself is the chair of the committee on environmental affairs, and could push through legislation any time she wants to the floor. In other words, it’s business as usual when it comes to environmental activism. The pose is everything, and the reality is nothing. The reality is that Kerry, Reid, and the rest are transparently indifferent to the problem of climate change, except as it serves them as a political tool. If they really cared about it, they would have put a stop to illegal immigration long ago. The carbon foot print per capita of the United States is four times that of Mexico, and the ratio is much greater for most of the other countries of origin. If they really cared, they would put a stop to Nuclear Regulatory Commission stonewalling of innovative nuclear plant designs, not to mention grossly excessive litigation hurdles for plant construction. If they really cared, they would get behind the shale-energy revolution which has cut 300 million tons of US greenhouse gas emissions by replacing heavily polluting coal with natural gas, a contribution greater than that of all the worlds solar and wind power installations combined. In other words, they don’t care. We should not allow a tiny minority of shoddy scientists and science and extreme ideologues to compete with scientific fact. The idea that someone like Kerry could distinguish “shoddy scientists” from “scientific fact” when it comes to climate change is beyond ludicrous. What qualifies him to even make such a statement? Certainly not the faintest understanding of current climate models. The most powerful computers on earth couldn’t even come close to achieving a deterministic solution of the problem. It involves billions of degrees of freedom in atmospheric and ocean conditions, and the necessary initial conditions are mostly either unknown or of limited accuracy. The only way we can even begin to address the problem is with serious (and potentially inaccurate) data interpolation, and probabilistic computer models, the equivalent of “throwing dice” on a vast scale to see which numbers come up. The statistical noise alone in such models renders it impossible to speak of “scientific facts” when it comes to climate change, but only a range of possible outcomes. In other words, Kerry’s crude “alarmism” is an easy mark for the climate “denialism” on the other end of the ideological spectrum. That’s too bad, because denying that any problem exists is just as bad as demagoguing it. We may not be able to speak of “scientific facts” when it comes to climate change. We do know, however, that solar radiation passing through a simplified model of the atmosphere and striking an “average” patch of the earth’s surface will raise the temperature of that atmosphere in proportion to the concentration of greenhouse gases. The best computer models we have are not perfect, but they’re not useless either, and they predict that significant warming will occur over the coming decades. In other words, we can’t speak of “facts” or certainty here, but we can say that there is a substantial risk that significant human-induced climate change will occur. The effects might be benign, outweighed by the same factors that have driven variations in the earth’s climate throughout its history. They might also be disastrous. Given that earth is the only planet we have to live on at the moment, it seems foolhardy to rock the boat. Under the circumstances, Kerry, Reid, and the rest might want to think twice about the value of crying “wolf” to score cheap political points, when it’s clear that they have no intention of seriously addressing the problem. Particularly at the end of a 15 year pause in the rate of increase of global temperatures, the result, already much in evidence, will be an increase in cynicism and skepticism that the problem is real. The resulting reluctance to sacrifice other priorities to address it may come back to haunt the alarmists if, as the boy in the story discovered, the “wolf” turns out to be real. What to do? Some of the most effective solutions are precisely what the alarmists who bray the loudest don’t want to do. End significant immigration to countries with the most emissions per capita, for one. Lead in the introduction and adoption of more efficient and safer nuclear technologies and the expansion of nuclear capacity instead of blocking it for another. Instead, the wildly misnomered “Greens” in Germany are shutting down the nuclear plants in that country, with the entirely predictable result that Germany is currently planning to build 26 new, heavily polluting, coal-fired power plants to replace them. Divert heavy subsidies for existing solar and wind technologies to investment in green technology research and development. As those famously “green” Germans discovered once again, taxing the poor to finance the solar energy hobbies of the rich in a cloudy country whose capital lies above the 52nd parallel of latitude is a dubious proposition. The cost of electricity there after years of massive subsidies to solar and a nuclear shutdown is now twice as high as in heavily nuclear France. As noted in an article in the Frankfurter Allgemeine Zeitung, the burden of these skyrocketing costs is falling disproportionately on the backs of those least able to afford them. Beyond that, we might want to get serious about finding another habitable planet, and developing the technology to get there. We’ve been doing a lot of rocking the boat lately. It would behoove us to have an alternative in case it eventually tips over, and the sooner the better. So nuclear fusion is green energy, is it? The opposite is true. Nuclear fusion is the form of energy that guarantees that any form of Green will be forever out of the question. In comparison, Chernobyl is a short-lived joke! Why? Have you ever actually considered what will be “burned” with fusion energy? Hydrogen, one of the two components of water, (and a material without which life is simply impossible)! Nuclear fusion? I can already see the wars over water coming. And, by the way, the process is irreversible. Once hydrogen is fused, it’s gone forever. Nothing and no one will ever be able to make water out of it ever again! No, no, no. What eu-fan (the first commenter) doesn’t seem to understand is that this should be seen as a measure against the rise in sea level that will result from global warming. Less hydrogen -> less water -> reduced sea level -> everything will be OK.
…if it ever actually does succeed, this green fusion, can we have our old-fashioned light bulbs back? So, in other words, if a fusion reactor blows up, the result will be a global bird cage: The helium released will make us all talk like Mickey Mouse! The success of our colleagues (at Livermore) is remarkable, and I don’t want to belittle it. However, when one speaks of a “breakeven point” in the classical sense, in which the fusion energy out equals the total energy in, they still have a long way to go. After fifty years of research, scientists at the National Ignition Facility (NIF) in Livermore, have made a breakthrough in harnessing and controlling fusion. According to the BBC, NIF conducted an experiment where the amount of energy released through the fusion reaction was more than the amount of energy being absorbed by it. This process is known as “ignition” and is the first time it has successfully been done anywhere in the world. I’m afraid not. The definition of “ignition” that has been explicitly accepted by scientists at Livermore is “fusion energy out equals laser energy in.” That definition puts them on a level playing field with their magnetic fusion competitors. It’s hardly out of the question that the NIF will reach that goal, but it isn’t there yet. Not by a long shot. It has always seemed plausible to me that some clever scientist(s) might find a shortcut to fusion that would finally usher in the age of fusion energy, rendering the two “mainstream” approaches, inertial confinement fusion (ICF) and magnetic fusion, obsolete in the process. It would be nice if it happened sooner rather than later, if only to put a stop to the ITER madness. For those unfamiliar with the field, the International Thermonuclear Experimental Reactor, or ITER, is a gigantic, hopeless, and incredibly expensive white elephant and welfare project for fusion scientists currently being built in France. In terms of pure, unabashed wastefulness, think of it as a clone of the International Space Station. It has always been peddled as a future source of inexhaustible energy. Trust me, nothing like ITER will ever be economically competitive with alternative energy sources. Forget all your platitudes about naysayers and “they said it couldn’t be done.” If you don’t believe me, leave a note to your descendants to fact check me 200 years from now. They can write a gloating refutation to my blog if I’m wrong, but I doubt that it will be necessary. In any case, candidates for the hoped for end run around magnetic and ICF keep turning up, all decked out in the appropriate hype. So far, at least, none of them has ever panned out. Enter two stage laser fusion, the latest pretender, introduced over at NextBigFuture with the assurance that it can achieve “10x higher fusion output than using the laser directly and thousands of times better output than hitting a solid target with a laser.” Not only that, but it actually achieved the fusion of boron and normal hydrogen nuclei, which produces only stable helium atoms. That’s much harder to achieve than the usual deuterium-tritium fusion between two heavy isotopes of hydrogen, one of which, tritium, is radioactive and found only in tiny traces in nature. That means it wouldn’t be necessary to breed tritium from the fusion reactions just to keep them going, one of the reasons that ITER will never be practical. Well, I’d love to believe this is finally the ONE, but I’m not so sure. The paper describing the results NBF refers to was published by the journal Nature Communications. Even if you don’t subscribe, you can click on the figures in the abstract and get the gist of what’s going on. In the first place, one of the lasers has to accelerate protons to high enough energies to overcome the Coulomb repulsion of the stripped (of electrons) boron nuclei produced by the other laser. Such laser particle accelerators are certainly practical, but they only work at extremely high power levels. In other words, they require what’s known in the business as petawatt lasers, capable of achieving powers in excess of a quadrillion (10 to the 15th power) watts. Power comes in units of energy per unit time, and such lasers generally reach the petawatt threshold by producing a lot of energy in a very, very short time. Often, we’re talking picoseconds (trillionths of a second). Now, you can do really, really cool things with petawatt lasers, such as pulling electron positron pairs right out of the vacuum. However, their practicality as drivers for fusion power plants, at least in their current incarnation, is virtually nil. The few currently available, for example, at the University of Rochester’s Laboratory for Laser Energetics, the University of Texas at Austin, the University of Nevada at Reno, etc., are glass lasers. There’s no way they could achieve the “rep rates” (shot frequency) necessary for useful energy generation. Achieving lots of fusions, but only for a few picoseconds, isn’t going to solve the world’s energy problems. As it happens, conventional accelerators can also be used for fusion. As a matter of fact, it’s a common way of generating neutrons for such purposes as neutron radiography. Unfortunately, none of the many fancy accelerator-driven schemes for producing energy that people have come up with over the years has ever worked. There’s a good physical reason for that. Instead of using their energy to overcome the Coulomb repulsion of other nuclei (like charges repel, and atomic nuclei are all positively charged), and fuse with them, the accelerated particles prefer to uselessly dump that energy into the electrons surrounding those nuclei. As a result, it has always taken more energy to drive the accelerators than could be generated in the fusion reactions. That’s where the “clever” part of this scheme comes in. In theory, at least, all those pesky electrons are gone, swept away by the second laser. However, that, too, is an energy drain. So the question becomes, can both lasers be run efficiently enough and with high enough rep rates and with enough energy output to strip enough boron atoms to get enough of energy out to be worth bothering about, in amounts greater than that needed to drive the lasers? I don’t think so. Still, it was a very cool experiment.